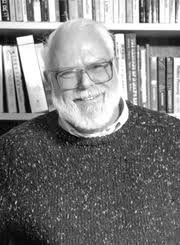 Legendary writing professor Don Murray once proposed that we think of 1,000 rewrites for a piece of our writing. Instead of 1,000, come up with 20 versions of a text you’re writing, thinking of changes in style, content, and even genre. * SD indicates a revision that keeps the piece the same type of document or genre. Thich Nhat Hanh, "Right Speech"
* I'll be posting after each day of the 5-Day Institute on mindful writing. Stay tuned for Day Five, the last day of the Institute..
Peter Elbow, "High and Low-Stakes in Assigning and Responding to Writing"
Don Murray, "The Essential Delay"
* I'll be posting after each day of the 5-Day Institute on mindful writing. Stay tuned for Day Four. Mike Rose, "Rigid Rules, Inflexible Plans"
Carl Rogers, "Communication: Its Blocking & Its Facilitation"
Today we were fortunate to be visited by three members of the House Sangha of Salem and Marblehead. They guided us through seated and walking meditation and discussed their mindfulness practices. Quite a sight: a line of barefoot people watching their breathing as they moved slowly down a long academic hallway! * I'll be posting after each day of the 5-Day Institute on mindful writing. Stay tuned for Day Three. * I'll be posting after each day of the 5-Day Institute on mindful writing. Stay tuned for Day Two. Here are some conceptual metaphors & images for writing blocks I've received from other writers. Send yours along by commenting to this post. Indicate whether you want your name displayed or whether you prefer to stay anonymous. My metaphor for writer's block is using a GPS where it keeps searching for the satellites, but it can't figure out where you are. It just keeps searching and searching, and eventually you either give up on it, or you find your way, but while it is searching, it is a feeling of hopelessness and frustration just like writer's block for me. My metaphor for writing when it "works" is trotting on a horse. I lose track of time and feel totally focused on the up and down and the sounds and smells and totally absorbed in the moment. Writing when it flows is totally like that for me. --Shirley P.
Being at the bottom of a monolith with endless stairs. The snow kept falling, off and on, and the wind blew through the gaps in my overcoat and my buttoned wool suit. Finally, I knew I had gone wrong, so I turned, and turned again, and I found myself on a long stretch with few houses. Ahead of me was the University of Massachusetts football stadium. A flicker of memory: a warm autumn day, the bright colors of the field and the uniforms, the concrete bleachers like giant steps, each row coming above my waist. Before a childhood in Illinois and adolescence in Western Connecticut, I had spent my first five years of my life in this college town as my father finished graduate school. It got colder. My thin socks were soaked with melted snow that found its way into my dress shoes. I turned again, some side street lined with small houses and bare trees. Off to my left I could see where I thought I wanted to go; something told me it was the way back downtown, where the library had to be, where at least there would be stores at which I could ask directions. It had been over an hour. The library was only five minutes from the Admissions Office. Where was I? Ahead of me, I couldn’t see a way to turn left, so I left the street and set off down a driveway, then walked through a snowy backyard and leapt over a half-frozen brook. As truly as I remember, the moment I stepped over the brook it hit me—my own past. I was in a small lawn in the back of a student housing complex—Lincoln Apartments—where I had lived those first years of my life. I had flashes of playing ball on this lawn when there was grass, not snow. I followed a map in my mind around one building and there it was: my earliest home! That back wall, where I’d bounced a ball and learned to catch; the second floor railing from which my father dropped a coconut. It split at the foot of our apartment’s porch, white chunks in the sun. And there, from the porch, I saw the parking lot where I had learned to ride a bike. I didn’t knock at my old door. I had come far enough. I think of writing as a thoughtful expression of various ideas, questions and themes joined together in one carefully engineered structure, in which all the parts do not necessarily compliment one another, but all assist in the work 'becoming' through a combination of their supportive, compressive and passive properties. Supportive parts represent reason, which gives the structure strength and integrity. Compressive parts are the questions I am asking or trying to answer; they are what I deeply examine or wrestle with. Passive parts are grammatical and syntactical elements that provide clarity. For me this process is like constructing a skyscraper. I am the uncertain and self-conscious engineer, guided by a loose blue print of creative compulsion. Using ideas as the materials and emotion as the fuel, I build, and many times disassemble, until I’ve reached a summit, where, in full view, I feel accepting, if not satisfied, with the overall structure. For several years after I finished my first graduate creative writing degree--right into my early thirties--I struggled through a prolonged writing block. It would occasionally dissipate for a few months but then return. I spent many lonely and joyless hours at the desk trying to finish pieces to no avail. I'd turn the corner to see the bathroom, its door half-open, to find a swimmer in a claw-foot bathtub. His (it was a male) muscular arm was frozen in the air above the tub in the position of a forward crawl, his head tilted outside the bathwater as though to breathe. For some reason, I was holding an enormous piece of paisley like a feather duster because my intention apparently was to clean the bathroom. I could tell he was a serious swimmer, a real athlete, but somehow stuck in the bathtub. Sometimes the water itself was frozen and set in stacks, each labeled with a tiny "h" or "c" for Hot and Cold, or rimmed in red or blue. What I came to understand is that water is associated with the unconscious and that I was unable to function as a writer because I was afraid of what I would find in myself. In real life, I don't know how to swim very well--a fear of holding my breath and being under "water." I am afraid of being "submerged." He couldn't swim not only because he was confined to a bathtub (where the substance, water, does resemble what he would have found in his normal context of a pool, just too small an amount) but because the water itself was frozen, stacked, organized by "temperature." The passions were separated into two binaries, overly simplistic and neat. The bathtub was claw-foot--not contemporary--not because I had a penchant for renting apartments in Victorians but because it's aggressive, slightly personified, capable of moving and taking my swimmer with it. What did I eventually take away from this image of my writing block? The need to give myself more of the unconscious to move around in (so let myself write prose as well as poetry). The recognition that all sorts of feelings will be mixed up in that water. Patience with the fact that I was afraid and a resolve to proceed. The basic "physical" action of just moving, without judging the result. Treat all writing as freewriting, private writing, low-stakes writing until I feel joy in the work. Then decide whether I want to up the anty, show to others, send out for feedback or publication. Just as words carry around conceptual metaphors (see June 2013 post), each of us carries around certain associations with writing difficulty. that is thinking about daytime television drama. and I see that he is toweling off on the other shore. as I was cleaning the house with my paisley. holes to hook fingers in and transport others.